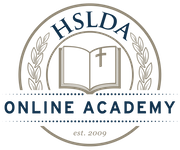 What is a Live Online Class Session in Literature and Composition? Please Note: In addition to meeting on a weekly basis with their classroom instructor, students from each class section will attend occasional extra live class sessions. Students will meet with Dr. Hake, the course Master Teacher, for a review session at the end of each course unit.